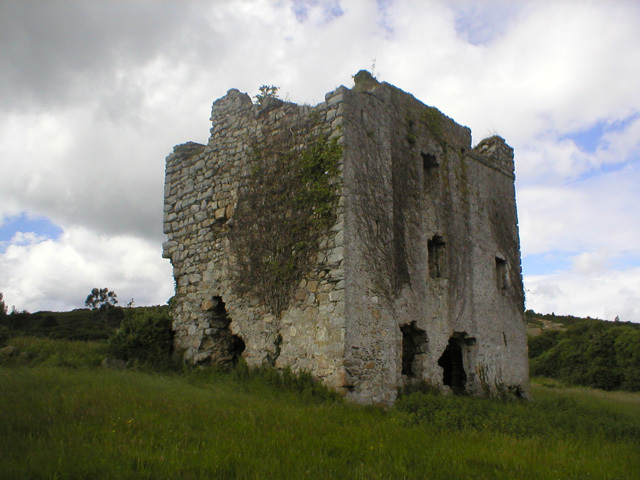 Notes: The "castle," actually a fortified house, was built in the late 16th century. It provided a refuge in 1690 for James II and his army fleeing the Battle of the Boyne. One explanation for its name is that a ghost or puca inhabited the castle. In June 1867 the daughter of a local Englishman disappeared near the castle. Jane Eleanor Sherrard, daughter of Henry and Margaret Sherrard left her nearby home to pick flowers for the dinner table. When she failed to return home that evening the police were notified and a widespread search was conducted. The last ever confirmed sighting of Jane was by the local postman who reported to have seen her picking flowers at the foot of the castle's northern wall. To this day the circumstances surrounding her disappearance remain unknown.